Yesterday, the 5th, a crisp November morning the Clonliffe course builders met at 8 a.m. to commence the construction of the course for the Dublin Cross Country Championships which were being hosted by Clonliffe in Santry Demesne. Three hours later the Dublin Championships were underway on what is a superb course in Santry but now one would suggest under-utilised with the Nationals seemingly now having a permanent home in Abbottstown. Thus at the spiritual home of Irish athletics, Santry, the Dublins got underway. 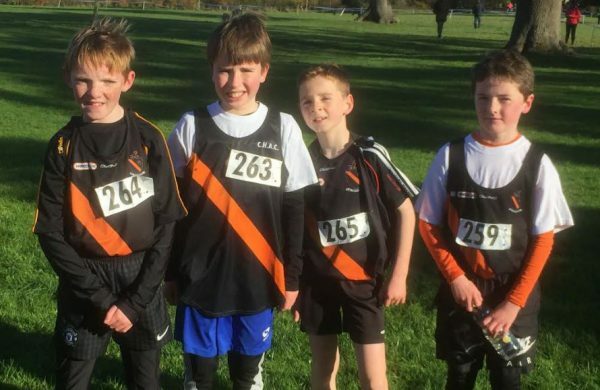 The first race with Clonliffe interest was the U/11s running over 1000 metres. It was great to see teams in both the girls and boys races all competing well and all safely making it to the finish. The U/11 girls team was Ava, Sally-Anne, Megan, Grace, Rebecca and Eva. Likewise the U/11 boys foursome all performed very well the team being Cormac, Cathal, Harry and Donogh. Next up it was the U/13s where the boys were lead home by Jonathan Fitzsimons in 7th, taking a place on the Dublin team for Nationals, very good runs also from Callum and Alex. The girls also put in solid runs with Orla O`Sullivan first of the Harriers closing followed by Isobel Browne, Eabha, Aoife and Amelie. 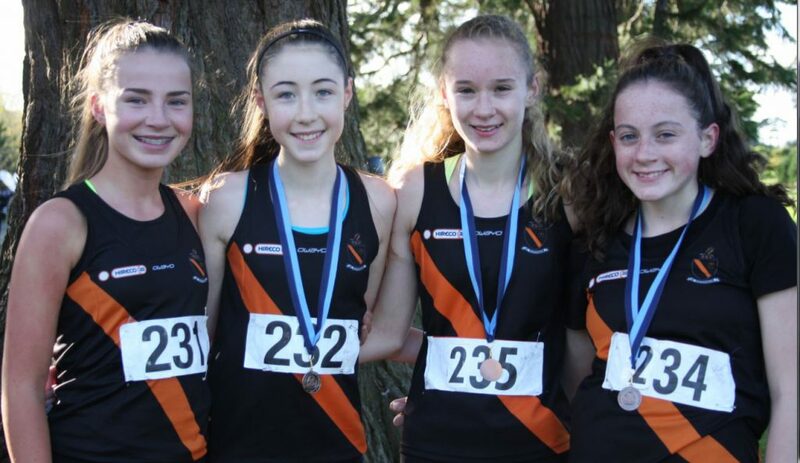 The U/15 girls brought the first medals of the day for Clonliffe with a fine team performance led home, after possibly her best race to date, by Aoife Hession in 6th place, Alana Fitzsimons battled on gamely, despite being hampered by injury, to a gallant 7th place with the fast finishing Katie Halpin also having a storming run in 8th place. 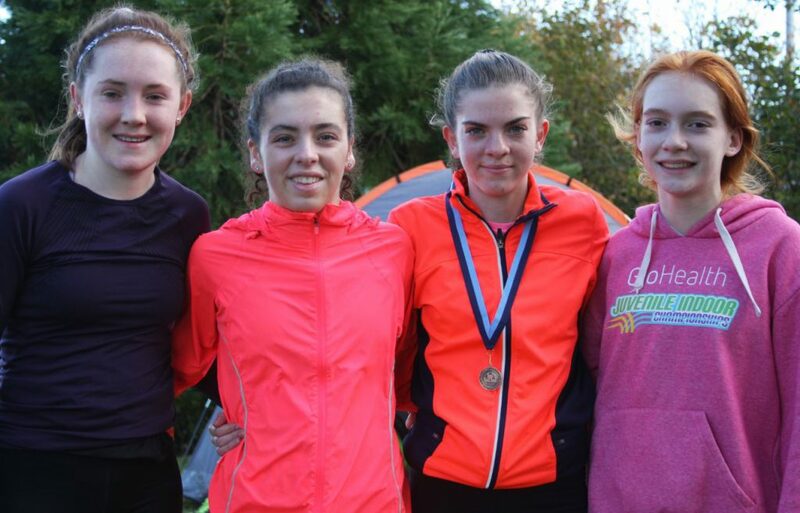 Ella Cooley did all that was asked and more with a battling display in 23rd place which was enough to see the girls take well deserved team bronze to book their place in the Nationals on December 17th in Waterford. Clonliffe only had one competitor in the U/15 boys race, also running over 3500 metres, Alex Neuroth finishing a fine 13th place. The U/17 girls were next into the fray racing over 4000 metres. 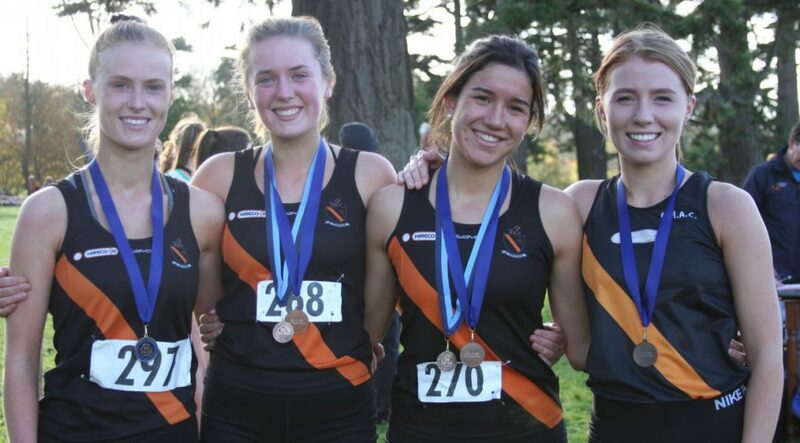 This was a young team, three of the four girls moving up from U/16s. 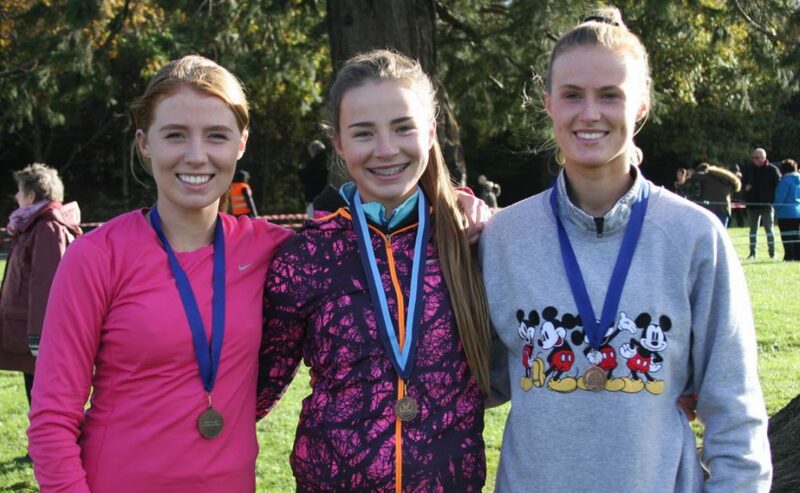 Top finisher, once again, was Sarah Bateson who had another outstanding last lap to finish in 11th place, with Abbie Sheehy 15th, Aimee Warren 17th and Vicky McDonnell, battling 24th the girls put in a fine performance and were just out of the medals in 4th place. The U/17 boys again as expected, performed superbly and delivered team gold. Aaron Cullen once again was in superb form leading the team home in 2nd place. Ben Guiden also had a very good run coming home in 7th place with a storming last lap, young Darragh Carter continues to impress in 10th with Daniel Stone exceeding expectations with a fine 13th place just ahead of Ian McElweaney in 14th. 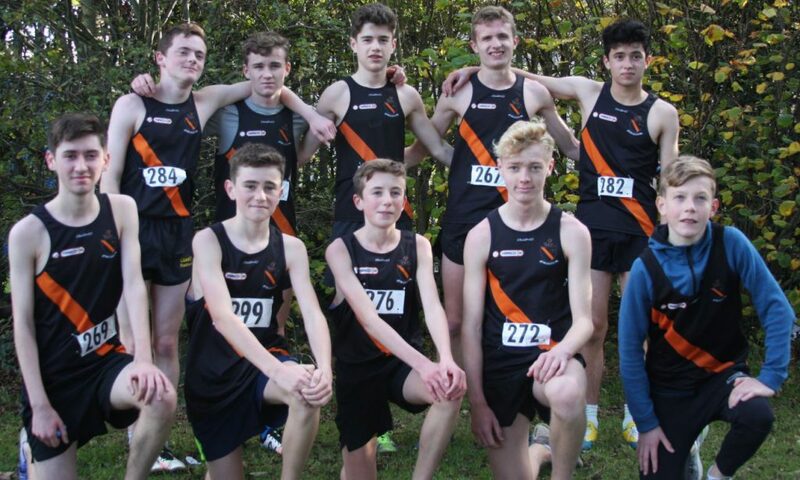 The team was completed by Dermot Buckley 19th, Callum Simpson 20th, Evan Foster 22nd and Thomas Baltazer 37th. The team with a total of 32 points tool well deserved Dublin gold. The U/19s and juniors were mixed. Firstly the junior women which saw a full Clonliffe team and also a Clonliffe team in the U/19s. The team was led home by Alannah Cooley in 7th place, next in was Ally Hernandez 11th, Hannah Browne 14th and Cliona Cooley 17th. The girls were rewarded with bronze in the junior women’s race and in the U/19 race were also rewarded with bronze (Ally, Hannah and Cliona). Next up was the Junior Men/U/19s. 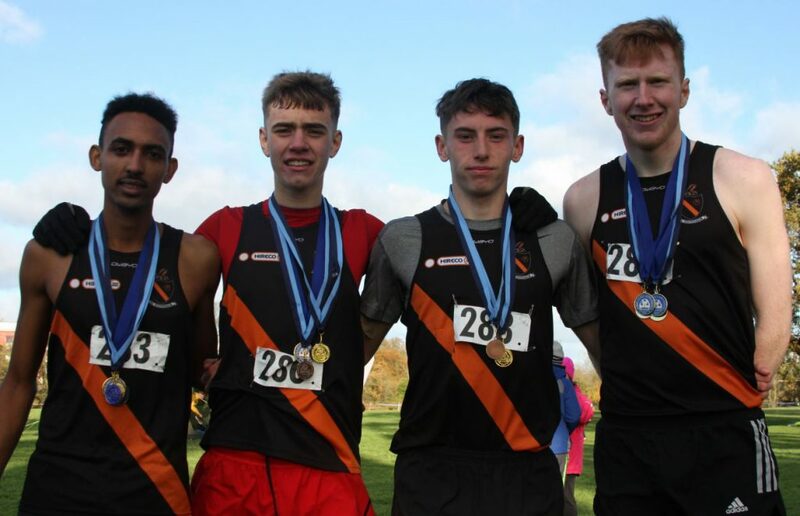 A strong Clonliffe team was in fine form with Sean O’Leary showing a welcome return to form in an excellent 2nd place followed some seven seconds later by Eferon Gidey, 3rd and Adam O’Brien in 4th place. The 4th scorer was Daniel Lacey in 8th and the team then completed by Craig Giles, 10th, Joey Hession, Stephen Cashin, Jordan Byrne and Kevin McKenna. The junior men comfortably won the Dublin title on 17 points. In the U/19s Sean O’Leary took gold with the team (O’Leary, Gidey, Lacey and Giles) also taking team gold. Unfortunately Clonliffe had no entrants in the Dublin senior women’s championship which was won by Ciara Durkan (Skerries A.C.) with DSD taking the team title from Crusaders and Raheny Shamrocks. In the men’s race the race was dominated by Raheny Shamrocks with Mick Clohisey successfully defending his title from Conor Dooney 2nd and DSD’s Killian Mooney 3rd. First Clonliffe man was David Flynn in 6th place with Colm Rooney 7th. Brian McMahon was 23rd, Eoin Taggart 33rd, Thomas Sherlock 36th, Sean Doran 37th, David Mullen 62nd, Wayne Walker 63rd and Thomas Frayne 66th. 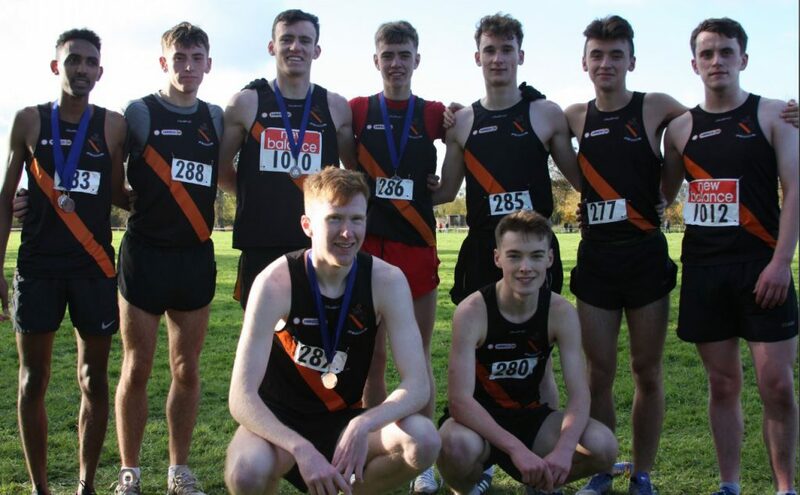 The Clonliffe men finished out of the medals in 4th place with Raheny Shamrocks successfully defending their team title and winning the Padraig Keane Trophy. The Padraig Keane Trophy was presented by Mary Keane and it was fitting to see so many of the Keane family at the presentation in the Clonliffe clubhouse post event. Clonliffe Harriers would like to thank in particular all of the Clonliffe members, and indeed parents of members, who came out to assist the club in the hosting of these championships, not only the course builders but the people who came out to steward on the day and then help with the course deconstruction. True Clonliffe club spirit. Next up is the National Even Ages which takes place in conjunction with the National Junior and National Senior Championships at Abbottstown in three weeks time, November 26th. The juvenile uneven championships will take place in Waterford on December 17th.